The first prime meridian was set by Eratosthenes in 200 BCE. This prime meridian was used to provide measurement of the earth, but had many problems because of the lack of latitude measurement. Many years later around the 19th century there was still concerns of the prime meridian. The idea of having one prime meridian came from William Parker Snow, because he realized the confusion of having multiple prime meridian locations. Many of theses geographical locations were traced back to the ancient Greeks, and others were created by several nations. Multiple locations for the geographical meridian meant that there was inconsistency, because each country had their own guidelines for where the prime meridian was located. The term meridian comes from the spanish meridies, meaning "midday"; the subsolar point passes through a given meridian at solar noon, midway between the times of sunrise and sunset on that meridian. Likewise, the Sun crosses the celestial meridian at the same time. The same Latin stem gives rise to the terms a.m. (ante meridiem) and p.m. (post meridiem) used to disambiguate hours of the day when utilizing the 12-hour clock. Toward the ending of the 12th century there were two main locations that were acknowledged as the geographic location of the meridian, France and Britain. These two locations often conflicted and a settlement was reached only after there was an International Meridian Conference held, in which Greenwich was recognized as the 0° location. The meridian through Greenwich (inside Greenwich Park), England, called the Prime Meridian, was set at zero degrees of longitude, while other meridians were defined by the angle at the center of the earth between where it and the prime meridian cross the equator. As there are 360 degrees in a circle, the meridian on the opposite side of the earth from Greenwich, the antimeridian, forms the other half of a circle with the one through Greenwich, and is at 180° longitude near the International Date Line (with land mass and island deviations for boundary reasons). The meridians from West of Greenwich (0°) to the antimeridian (180°) define the Western Hemisphere and the meridians from East of Greenwich (0°) to the antimeridian (180°) define the Eastern Hemisphere. Most maps show the lines of longitude. The position of the prime meridian has changed a few times throughout history, mainly due to the transit observatory being built next door to the previous one (to maintain the service to shipping). Such changes had no significant practical effect. Historically, the average error in the determination of longitude was much larger than the change in position. The adoption of WGS84 ("World Geodetic System 84") as the positioning system has moved the geodetic prime meridian 102.478 metres east of its last astronomic position (measured at Greenwich). The position of the current geodetic prime meridian is not identified at all by any kind of sign or marking (as the older astronomic position was) in Greenwich, but can be located using a GPS receiver. The magnetic meridian is an equivalent imaginary line connecting the magnetic south and north poles and can be taken as the horizontal component of magnetic force lines along the surface of the earth. Therefore, a compass needle will be parallel to the magnetic meridian. However, a compass needle will not be steady in the magnetic meridian, because of the longitude from east to west being complete geodesic. The angle between the magnetic and the true meridian is the magnetic declination, which is relevant for navigating with a compass. Navigators were able to use the azimuth (the horizontal angle or direction of a compass bearing) of the rising and setting Sun to measure the magnetic variation (difference between magnetic and true north). The true meridian is the plane that passes through true north poles and true south poles at the spot of the observer. The difference between true meridian and magnetic meridian is that the true meridian is fixed while the magnetic meridian is formed through the movement of the needle. True bearing is the horizontal angle between true meridian and a line. Henry D. Thoreau classified this true meridian versus the magnetic meridian in order to have a more qualitative, intuitive, and abstract function. He used the true meridian since his compass varied by a few degrees. There were some variations. When he noted the sight line for the True Meridian from his family's house to the depot, he could check the declination of his compass before and after surveying throughout the day. He noted this variation down. The meridian passage is the moment when a celestial object passes the meridian of longitude of the observer. At this point, the celestial object is at its highest point. When the sun passes two times an altitude while rising and setting can be averaged to give the time of meridian passage. Navigators utilized the sun’s declination and the sun’s altitude at local meridian passage, in order to calculate their latitude with the formula. The declination of major stars are their angles north and south from the celestial equator. It is important to note that the Meridian passage will not occur exactly at 12 hours because of the inclination of the earth. The meridian passage can occur within a few minutes of variation. Many of these instruments rely on the ability to measure the longitude and latitude of the earth. These instruments also were typically effected by local gravity, which paired well with existing technologies such as the magnetic meridian. ^ First Teachings about the Earth; its lands and waters; its countries and States, etc. 1870. ^ "What is the Prime Meridian? - Definition, Facts & Location - Video & Lesson Transcript | Study.com". study.com. Retrieved 2018-07-25. ^ "A&G Volume 56 Issue 5, Full Issue". Astronomy & Geophysics. 56 (5): ASTROG. 2015-09-22. doi:10.1093/astrogeo/atv173. ISSN 1366-8781. ^ Smith, Humphry M. (1976-01-01). "Greenwich time and the prime meridian". Vistas in Astronomy. 20: 219–229. doi:10.1016/0083-6656(76)90039-8. ISSN 0083-6656. ^ "Induction effects of geomagnetic disturbances in the geo-electric field var...: EBSCOhost". web.b.ebscohost.com. Retrieved 2018-07-25. ^ Haughton, Graves C. (1843). "On the Relative Dynamic Value of the Degrees of the Compass; and on the Cause of the Needle Resting in the Magnetic Meridian. [Abstract]". Abstracts of the Papers Communicated to the Royal Society of London. 5: 626. JSTOR 110936. ^ "RESEARCH ON MAGNETIC DECLINATION IN LITHUANIAN TERRITORY. : EBSCOhost". web.a.ebscohost.com. Retrieved 2018-07-26. ^ "Definition of AZIMUTH". www.merriam-webster.com. Retrieved 2018-07-28. ^ Huth, John Edward (2013-01-15). The Lost Art of Finding Our Way. Cambridge, MA and London, England: Harvard University Press. doi:10.4159/harvard.9780674074811. ISBN 9780674074811. ^ "Difference Between True Meridian and Magnetic Meridian - DifferenceBetween.com". DifferenceBetween.com. 2011-08-14. Retrieved 2018-07-28. ^ McLean, Albert F. (1968). "Thoreau's True Meridian: Natural Fact and Metaphor". American Quarterly. 20 (3): 567–579. doi:10.2307/2711017. JSTOR 2711017. ^ Huth, John (2013). "Lost Art of Finding Our Way". Cambridge: Harvard University Press: 99–200 – via ProQuest Ebook Central. ^ Huth, John (2013). "Lost Art of Finding Our Way". Cambridge; Harvard University Press – via ProQuest Ebook Central. ^ Jassal, Reeve. "What is the difference of noon position and meridian passage? - MySeaTime". www.myseatime.com. Retrieved 2018-07-28. ^ Malys, Stephen; Seago, John H.; Pavlis, Nikolaos K.; Seidelmann, P. Kenneth; Kaplan, George H. (2015-08-01). "Why the Greenwich meridian moved". Journal of Geodesy. 89 (12): 1263–1272. doi:10.1007/s00190-015-0844-y. ISSN 0949-7714. Note: This is a large file, approximately 46MB. Searchable PDF prepared by the author, C. A. White. "Meridian" . The New Student's Reference Work . 1914. Jean Charles Athanase Peltier (; French: [pɛltje]; 22 February 1785 – 27 October 1845) was a French physicist. He was originally a watch dealer, but at 30 years old took up experiments and observations in physics. Peltier was the author of numerous papers in different departments of physics, but his name is specially associated with the thermal effects at junctions in a voltaic circuit. He introduced the Peltier effect. Peltier also introduced the concept of electrostatic induction (1840), based on the modification of the distribution of electric charge in a material under the influence of a second object closest to it and its own electrical charge. This effect has been very important in the recent development of non-polluting cooling mechanisms. In astronomy, the meridian is the great circle passing through the celestial poles, as well as the zenith and nadir of an observer's location. Consequently, it contains also the north and south points on the horizon, and it is perpendicular to the celestial equator and horizon. 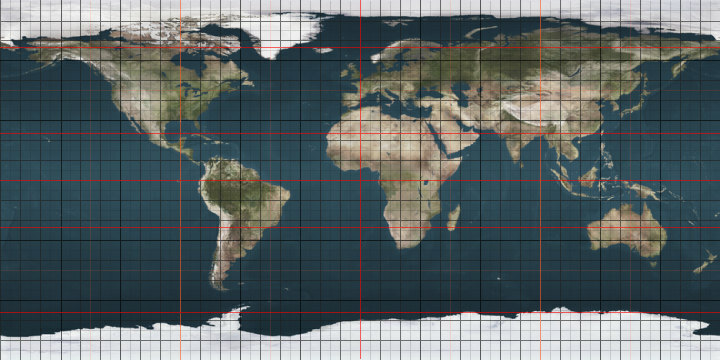 A celestial meridian is coplanar with the analogous terrestrial meridian projected onto the celestial sphere. Hence, the number of celestial meridians is also infinite. The celestial meridian is undefined when the observer is at the geographical poles, since at these two points, the zenith and nadir are on the celestial poles, and any great circle passing through the celestial poles also passes through the zenith and nadir. There are several ways to divide the meridian into semicircles. In the horizontal coordinate system, the observer's meridian is divided into halves terminated by the horizon's north and south points. The observer's upper meridian passes through the zenith while the lower meridian passes through the nadir. Another way, the meridian is divided into the local meridian, the semicircle that contains the observer's zenith and both celestial poles, and the opposite semicircle, which contains the nadir and both poles. On any given (sidereal) day/night, a celestial object will appear to drift across, or transit, the observer's upper meridian as Earth rotates, since the meridian is fixed to the local horizon. At culmination, the object contacts the upper meridian and reaches its highest point in the sky. An object's right ascension and the local sidereal time can be used to determine the time of its culmination (see hour angle). The term meridian comes from the Latin meridies, which means both "midday" and "south", as the celestial equator appears to tilt southward from the Northern Hemisphere. Meridian (plural: "meridians") is used in perimetry and in specifying visual fields. According to IPS Perimetry Standards 1978 (2002): "Perimetry is the measurement of [an observer's] visual functions ... at topographically defined loci in the visual field. The visual field is that portion of the external environment of the observer [in which when he or she is] steadily fixating ...[he or she] can detect visual stimuli." In perimetry, the observer's eye is considered to be at the centre of an imaginary sphere. More precisely, the centre of the sphere is in the centre of the pupil of the observer's eye. The observer is looking at a point, the fixation point, on the interior of the sphere. The visual field can be considered to be all parts of the sphere for which the observer can see a particular test stimulus. If we consider this surface to be that on which an observer can see anything, then it is a section of the sphere somewhat larger than a hemisphere. In reality it is smaller than this, and irregular, because when the observer is looking straight ahead, his or her nose blocks vision of some possible parts of the surface. In perimetric testing, a section of the imaginary sphere is realized as a hemisphere in the centre of which is a fixation point. Test stimuli can be displayed on the hemisphere. To specify loci in the visual field, a polar coordinate system is used, all expressed from the observer's perspective. The origin corresponds to the point on which the observer is fixating. The polar angle is considered to be zero degrees when a locus is horizontally to the right of the fixation point and to increase to a maximum of 360 degrees going anticlockwise. Distance from the origin is given in degrees of visual angle; it's a measure of eccentricity. Each polar axis is a meridian of the visual field. For example, the horizontal meridian runs from the observer's left, through the fixation point, and to the observer's right. The vertical meridian runs from above the observer's line of sight, through the fixation point, and to below the observer's line of sight. Another way of thinking of the maximum visual field is to think of all of the retina that can be reached by light from the external environment. The visual field in this case is all of the external environment that can project light onto the retina. Meridians correspond to sections of great circles passing through the centre of the fovea. In an analogy to Meridian (geography), in which meridians are lines of longitude, the North pole might correspond to the fovea, Greenwich would correspond to a retinal location about 39 degrees to the left of the fovea (because the retinal image is inverted, this corresponds to a location in the visual field to the observer's right), and the South pole would correspond to the centre of the pupil. The meridian of the visual field has been found to influence the folding of the cerebral cortex. In both the V1 and V2 areas of macaques and humans the vertical meridian of their visual field tends to be represented on the cerebral cortex's convex gyri folds whereas the horizontal meridian is tends to be represented in their concave sulci folds.